If you’ve climbed with me in the last couple of years I’m pretty sure you’ve heard me rave about my magic rock climbing shoes. They are La Sportiva’s TC Pro. I love them! 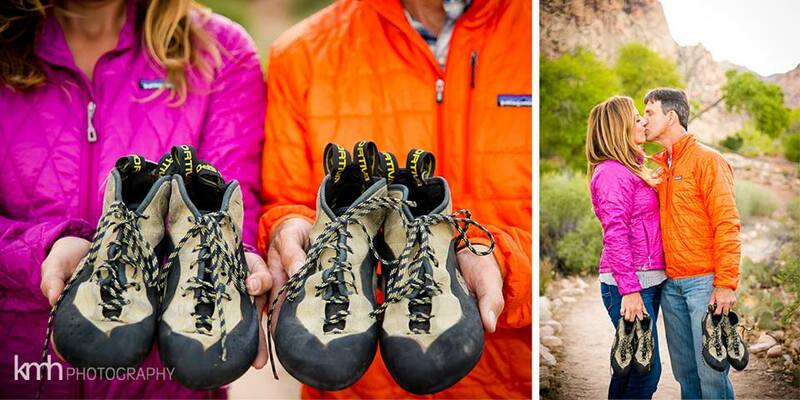 Developed in collaboration with Tommy Caldwell, these shoes are touted by La Sportiva as the ultimate technical Yosemite big wall free climbing shoe. Ok, I’ve never climbed a Yosemite big wall so I don’t know about that, but I do know that they are an awesome all around climbing shoe even for semi-rad climbers like me. What I like most about the TC Pro shoes is their all-day comfort, superior edging and solid smearing capabilities. These factors played a huge part in boosting my climbing confidence and made harder climbs much more enjoyable for me. The slightly pointed toe and stiff edges have amazing purchase in the smallest pockets and on dime sized edges. Plus, padding in the toe box and ankle provide a bit more protection on foot jamming crack climbs. Sockless climbers will also appreciate that, although the TC Pro is padded and lined (except underfoot), they are well ventilated and breathable, not hot and sweaty. My feet are on the narrow side with a slim heel. La Sportiva brand shoes in general tend to fit my feet well. Before wearing TC Pros I wore La Sportiva’s Lady Mythos—a fine shoe as well for all-day comfort and all-around climbing. Like the Mythos, the lacing can be adjusted to really dial in the fit. However, the thicker rubber and more rigid sole of the TC Pro far outperform the Mythos in cracks and on featured face climbs yet they smear surprisingly well on slabby sandstone and granite. So what’s not to like about the TC Pros? Well, with an MSRP of $180, the price tag for one thing. It can also be a workout in itself to get the shoes on your feet by having to loosen and adjust the laces to get the tongue to lay just right before snugging them up. After a few months of wear, some of the rubber separated from the leather, but that has not gotten much worse with regular wear. Overall, the shoes have held up well for me as we climb into our third season together. Before I tried the TP Pros I had a small collection of other rock shoes. Since I fell in love with the TC Pros, I’ve given all the others away. I am completely satisfied with my magic rock shoes and look forward to many more climbs with them. What size did you wear in Mythos vs in the TC Pros? Hi! Same size for me initially but but Lady Mythos stretched over time where TC Pros did not. Climbing with Kids – What a Long, Strange Trip it’s Been! Climbing in Squamish BC 🏔🧗‍♀️⛺️ Mom’s Take Away! 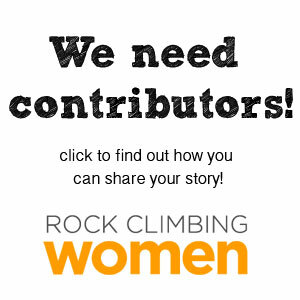 A climbing site for all women climbers! We are currently looking for stories. Stories can be your favorite routes, your favorite locations, your favorite gear choices. Even poems, photos and thoughts on climbing in general. We are just looking for authentic stories from all over the world!